Fabric vertical blinds are available in a wide array of fabrics and colors to suit any decor. These blinds provide a warmth from the fabric not achievable from their PVC counterparts. 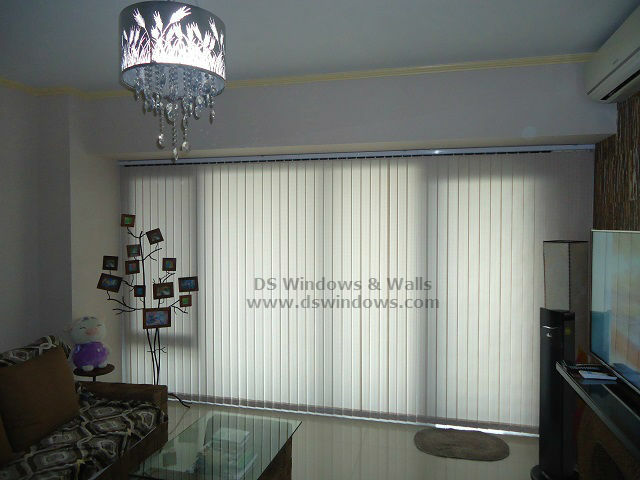 This type of blinds are also great option for high traffic areas. The textured vinyl provides a great element in design while maintaining durability. It’s also a great choice for living rooms or bedrooms. Fitted with our post-tilt rotation feature, experience this blind that assure the vanes remain perfectly synchronized no matter how far they twist. Peruse our selection of fabric vertical blinds in stylish colors, that gently filter light while providing privacy.